The Stealth Cam STC-P12 6.0 MP may not be a fresh model, but it surely is an efficient and reliable camera available in the market. During its initial release, it was very innovative. While many younger models may be out today, this camera can surely still compete with the features of other cameras. 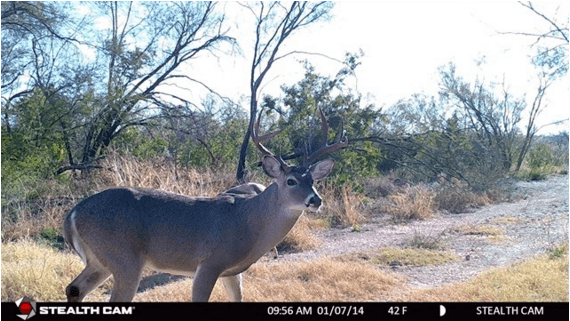 This trail cam can still provide very useful hunting data. 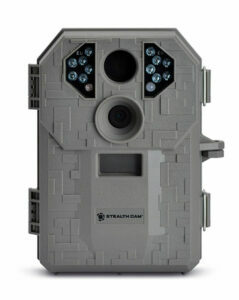 This scouting camera has a 50 ft. flash range, making sure that you will not miss any activity. It has an energy efficient design that makes the battery last longer. One really good thing about this camera is that it has an invisible flash, but it is not expensive, unlike many other cameras (like the Big Game Black Widow) with this feature. The Stealth Cam STC-P12 6.0 MP also takes good quality daytime pictures. You can also choose the option to bursts photos and other customization settings to ensure you get those great pics of wild game. This camera is also user-friendly and has a 16GB card that can hold more or less 450 photos. One negative thing about this camera is that is has a slow trigger time. This makes animals go out of frame because the camera is not quick enough to capture it. Aside from this, the video is also not as clear as the still pictures. There may also be times that it will have a watercolour effect. All in all, the best thing about this camera is probably its price. If you are looking for a cheap camera with good functions and features, then this is suited for you. You may also try exploring other options available in the market today.